We scored two amazing Papasan chairs from one of those side of the road junk pickups (Thanks Mum!) and boy, did we love them! 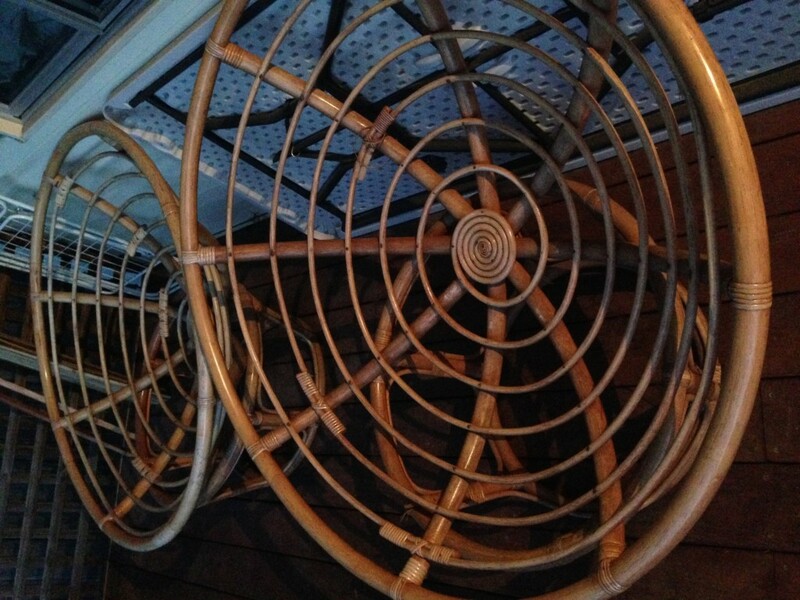 We popped them in our outdoor covered area and lived in them right through the Summer. Unfortunately, while we were away, one of our cats weed on both cushions and I couldn’t find any way to rescue them so they were dumped. We still had the beautiful frames and when we moved house, we couldn’t part with them. 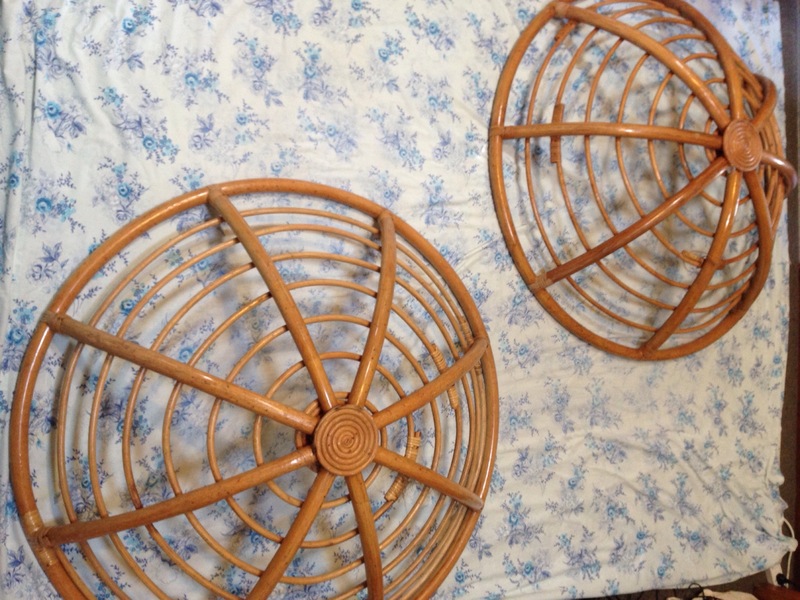 These two naked papasan chairs sat on our front deck for over a year while I procrastinated between buying new cushions or making them myself. Like all aspiring DIYers I turned to the world’s largest pin board: Pinterest. 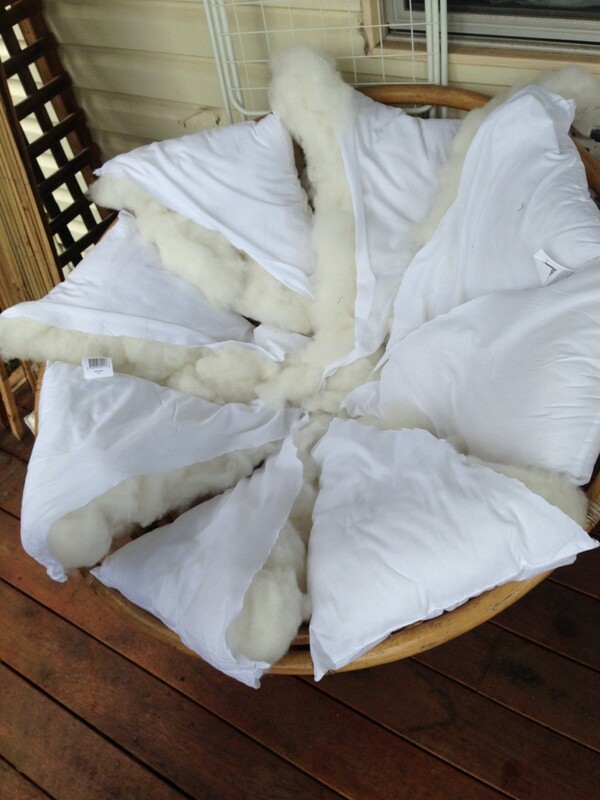 Behold, the bible for Papasan cushions (viewed over two hundred thousand times!) is WikiHow. It seemed everyone had either pinned the WikiHow or followed their instructions and pinned someone else’s photo. With these instructions in mind, Hannah and I tackled creating our own. We traced the upside down frame onto the fabric with pen. We cut a further 10cm from the pen line. You could always take it further as desired. If possible, it helps to fold your material in half and cut to exact circles at one time. 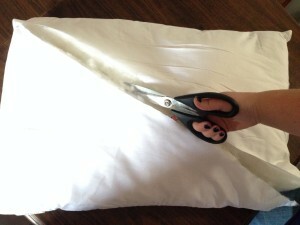 We also cut the pillows in half to make wedges, preparing the inside of the cushion. We found that simply spreading the stuffing apart with your hands was much easier then trying to cut through. We changed the instructions for the second pillow. Instead of cutting wedges, we simply pulled out the stuffing. Casually sew the two circles together around the edges. Leave a gap to pop your stuffing inside. Add your cushion to your naked frame and plonk yourself straight on it! As we have made a giant cushion, it is recommend to make a giant cushion cover for your papasan cushion. This will give you the freedom to change colour schemes as desired and keep the internal cushion clean. Well… What does it look like all finished? I just bought a chair at a thrift store and the cushion is flattened, and leopard print (just not my style!) This diy sounds like the easiest!